You must make reservations at least 5 minutes in advance of the time at Lena. We have a private dining room that sits up to 20ppl and our mezzanine that sits up to 48ppl. We offer a la carte, set menus, and buffet style dining experiences. Leña is a Latin American inspired upscale, casual restaurant with a fun, vibrant atmosphere, focused on sharing and communal dining. The name translates to "firewood", and a white oak, wood fired grill serves as a culinary focal point, offering a vast asado selection of grilled meats, seafood, and vegetables. Other offerings include tacos, featuring homemade corn tortillas, fresh baked empanadas, and other traditional dishes, spanning from South and Central America, Spain, and Mexico. The beverage program is well rounded, with wines from multiple well known and some lesser known producers, craft beers, innovative cocktails, and a wide array of tequila and mezcal. the octopus ceviche is great! Would go back for that. Fun. Latin inspired. Enjoyed the small bites menu options on the brunch menu. Our group enjoyed the different flavors of mimosas too! Great service with a earthy environment. Great food, a little noisy (all hard surfaces) good happy hour prices. Empanadas especially good. Good food and really great happy hour prices! Their margaritas are delicious, made with lime juice and agave, not the gross marg. mix. Didn’t actually get to eat. The bottom is really cute with nice lighting and music but even with open tables down there, they sat us in some top part that fees like you’re the ugly patrons stuck in the attic. We asked to move down and they accommodated that Witt an attitude. Then we didn’t get service for 10+ minutes even though several servers walked by and chatted with the tables on either side of us. We ended up walking out. If I’m going out for a nice dinner, I expect better than average service and this was no service at all. Do not recommend and I hope Lena sees this so their servers realize how rude and disgusting their behavior was. Great food, ceviche not to be missed and the tres leches is to die for. Charming restaurant with a vibrant and interesting menu. Lovely wine list. They were able to accommodate some dietary issues/restrictions with no problem at all - and a friendly attitude about it. Everyone in our party was thrilled with the food and ambiance. Thanks!! Absolutely amazing every time - great food, service and ambiance! as always, delicious atmosphere, delightful staff, fabulous cocktails. Hidden gem for sure! Great deal on bottomless mimosas on Sundays and the brunch was delicious! Will become a regular at this spot. The service and atmosphere was wonderful and would definitely recommend it ! Delicious meal and they easily accommodated our large party. Great service and a great time. Lovely, perfect neighborhood spot. Authentic, delicious Latin food, great friendly service. A delicious dinner of small plates with a great bottle of wine and terrific service. The ceviche is wonderful, but then again, so were the tacos, fish, small biscuits, and empenadas. 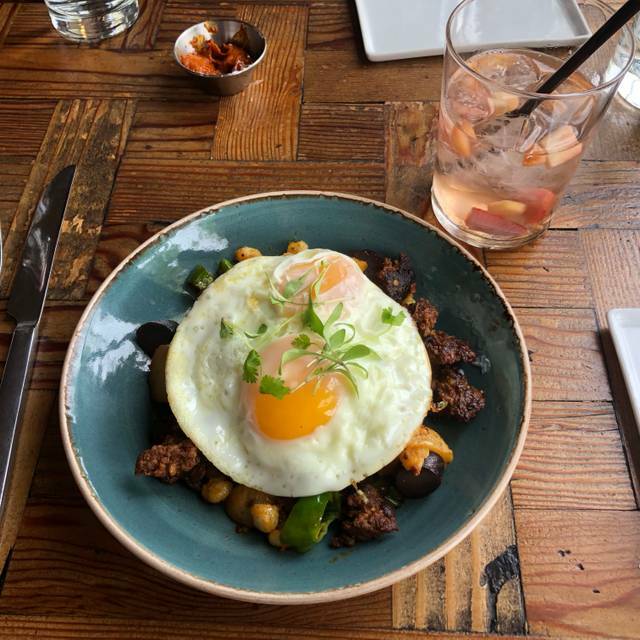 Experience Leña during Denver Restaurant week and the food was soooo good! Great options, great portions, great service. The churros were a great finish to a great meal! Went for Restaurant Week and it was highly enjoyable. I was able to modify my order from the usual menu so I appreciated their flexibility. The portions were large and the food was delicious. I got the octopus which was the best part of the meal. The service was a bit slow but the food made up for it. I would definitely go back to try their regular menu. Amazing atmosphere and the food is phenomenal. Reasonably priced wine too. We went for Denver restaurant week and I was ecstatic. They were very good about accommodating my gluten and dairy allergies as well. Loved it. Great night. Have recommended to others. A small group of us went in for Restaurant Week. Great pricing for the number of courses. Food and drinks were amazing! Our server Sophia was very knowledgeable and attentive. We will definitely be back for another visit. The food was good, but not what I would call outstanding....where in you think that you to have this again meal again. Hana was outstanding and charming. Would not recommend during restaurant week. Service was horrible: spent a total of 2.5 hours from start to finish. After our 2nd course appetizers (of a 4 course meal) the waiter asked if we were ready for dessert...…..We informed him that we hadn't been served dinner yet. He looked totally confused. They totally forgot to acknowledge the special request I had made...It was our 1st year wedding anniversary. The upstairs 2nd floor seating area noise level was extreme and not enjoyable. This place was ill-prepared to handle this large of a crowd and the entire experience was pretty bad. The empanadas are the must have on the menu. You can admire the decor while waiting for your food but you will be too distracted by your amazing drink. The service could be better but no matter servers come and go. The chickens empanadas, order...all of them. Lena and a movie at the Mayan! We found this gem of a restaurant during Denver Restaurant Week 2018 and have been back MANY times. It is the perfect location for us to have a bite to eat before a movie at the Mayan. The 2019 DRW menu didn't seem to offer different choices than the usual menu, but rather a hearty mix of 4 options. We loved it! Leña's cocktail and food menu was was an elevated blend of Hispanic and South American cultural dishes and it was all delicious. Our server was attentive and nice and the courses for restaurant week were especially awesome to experience a lot of what this restaurant has to offer. All of our food seemed in between warm and cold like they couldn't decide if the dish was supposed to be hot; or maybe the food was pre-prepped and then warmed over to serve. Flavors weren't that impressive. Felt over priced and lackluster. Wonderful atmosphere with delicious, authentic South American food! Yummy food and drinks! Excellent service! WHAT???? It’s loud in hear, they should really do something about that. I went there with my date the other night. We ended up sitting side by side it was very noisy. We order 4 plates, $70 and they were tiny portions! I have higher than 1 Star because of the quality of the food. Tasty, fun vibe, sorta pricy. The pan de yuca is so good, we get it every time! There’s not one bad plate here! The service was excellent. The food was brilliant and delicious. And the cocktails, by Ash, we’re fabulous. Service was great and the food was fantastic. Noise level was good so conversations weren’t difficult. The wait staff was outstanding. Highly recommend! Comfortable restaurant, wonderful service, great food. The food was ok. I like the place more for drinks/ lounging. Excellent service, best I've seen anywhere in a while. Very tasty food, we all tried the appetizers and everyone loved them, as well as the entrees we ordered. Also, all I had to do was mention what type of wine I wanted, and the wine the server brought was very good. We'll all be back.